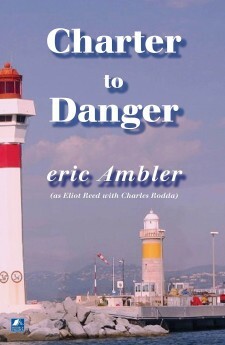 Charter to Danger – Vincent Flavius, a millionaire industralist, charters a cabin cruiser owned by Ross Barnes. Rumours abound, and most appear to suggest Flavius is on the verge of engineering yet another of his sensational financial coups. Embarkation is set for Cannes, but that is where the trouble begins. Shock after shock follows a strange encounter Barnes has with a girl in a dingy cafe. Murder and kidnapping follow, along with a dangerous chase which brings the Sûreté Nationale into swift action.